A Santa Fe tradition since 2008, the Kentucky Derby Gala Fundraiser is the premier spring event, celebrated with all the quintessential Derby Day ingredients: spring dresses, fancy hats, mint juleps, live jazz, southern cooking, and the “most exciting two minutes in sports.” Last year we raised over $50,000, and every cent goes towards creating affordable housing for deserving families in our own community. 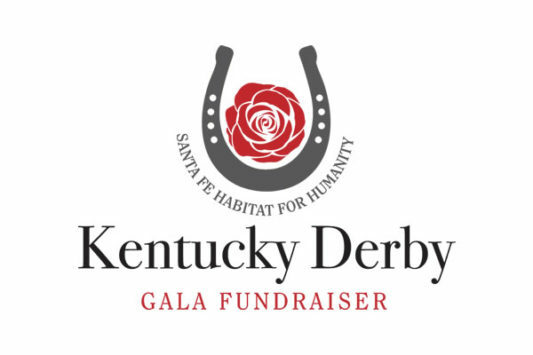 The event includes live and silent auctions, all-you-can-eat southern buffet, mint juleps, champagne, live jazz band, fancy hat contest, and a simulcast of the Kentucky Derby on two big screens. Coming As A Group? Reserve Tables available for up to ten. Unable to attend? Make A Donation to show your support!